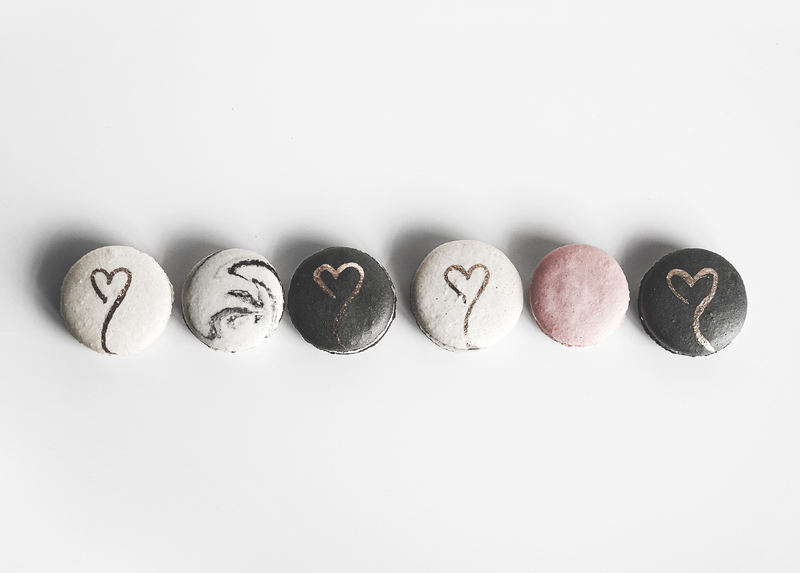 Our February Collection is inspired by the concept of Yin & Yang— the notion that opposites attract and enhance each other's lives. 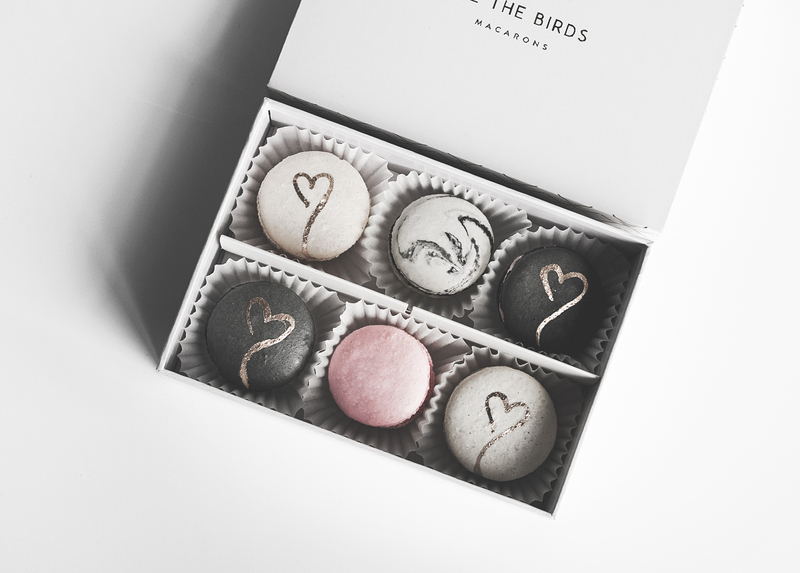 The Valentine's Day Collection is a twist on the February Collection. 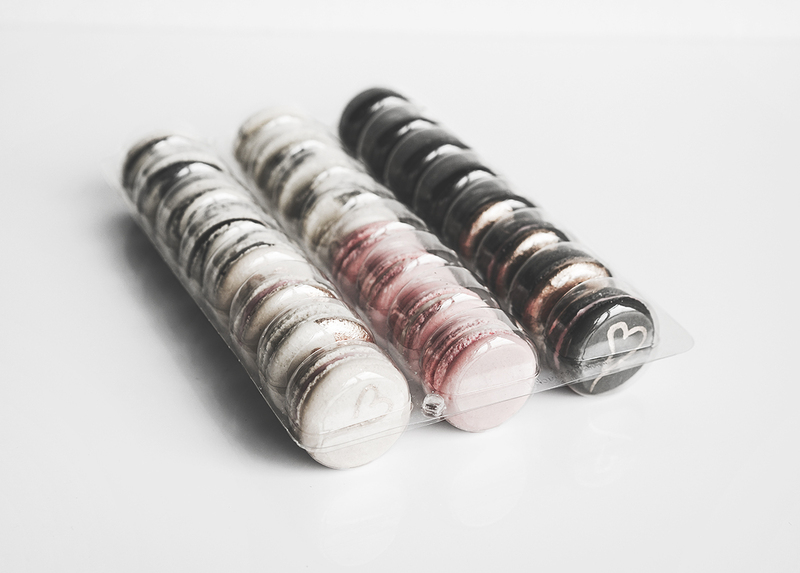 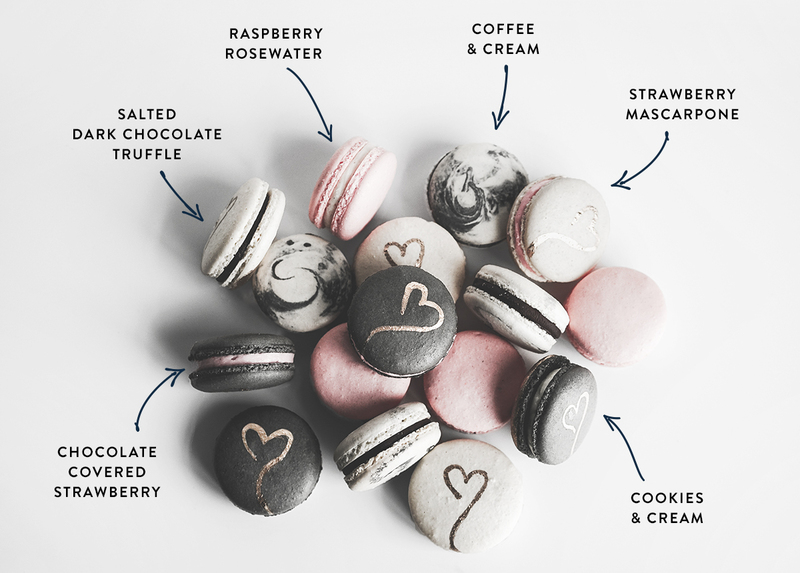 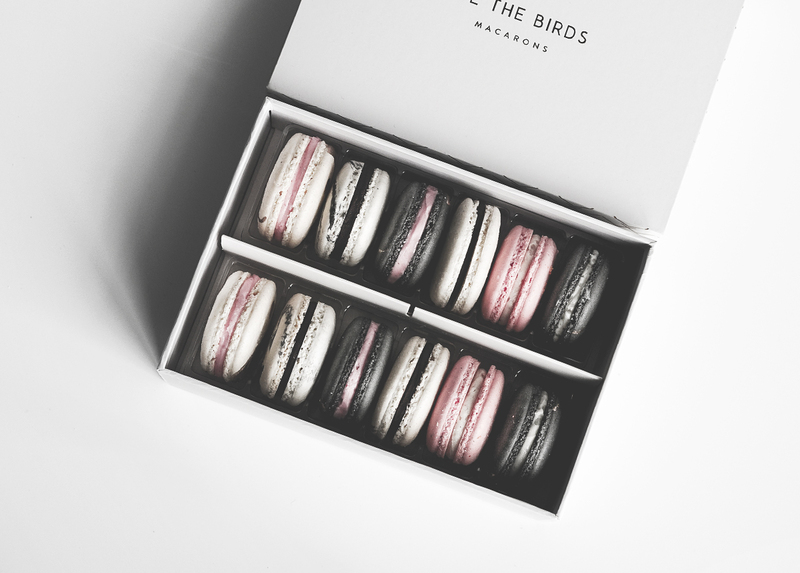 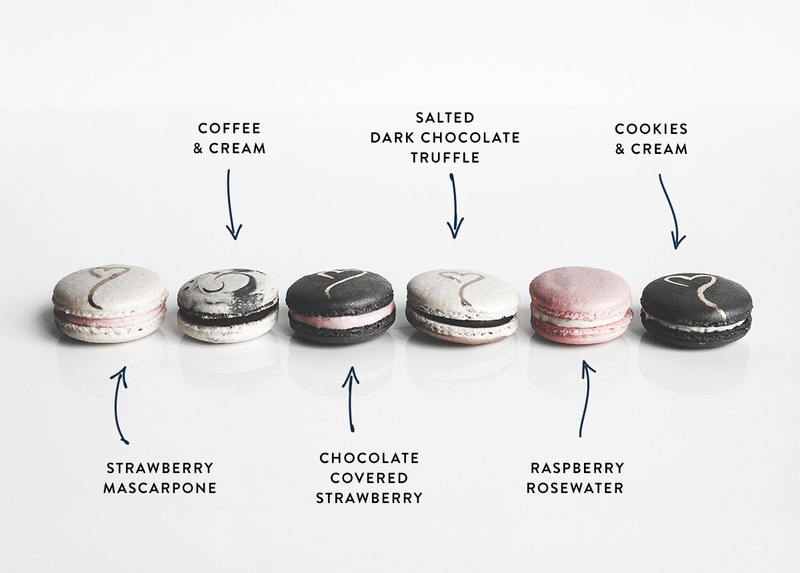 This special gift of French macarons says "I love you because you complement me— you are the yin to my yang." 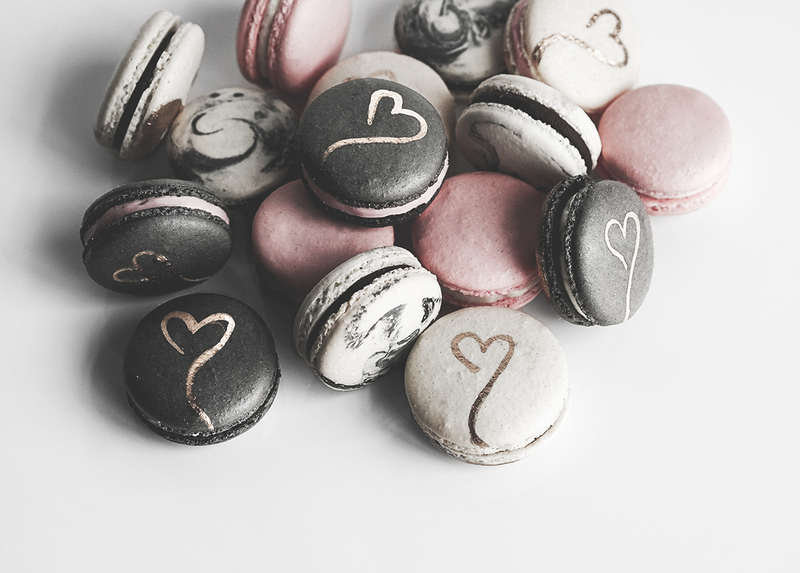 The the curved heart design is a visual play on the curve of the yin & yang symbol.